What is Crude Coal Tar and how does it differ from Refined Tar or Refined Coal Tar? Crude Coal Tar sometimes referred to as crude coke oven tar or simply coal tar is a byproduct collected during the carbonization of coal to make coke. Coke is uses as a fuel and as a reducing agent in smelting iron ore in a blast furnace to manufacture steel and in foundry operations. Crude coal tar consists of a mixture of naturally occurring compounds containing hydrogen and carbon that are common to all organic fuels including coal, petroleum and wood. Crude coal tar is a raw material which is further distilled to produce various carbon products, refined tars and oils used as essential components in the production of aluminum, rubber, concrete, plasticizers, coatings and specialty chemicals. Crude coal tars have been processed in the United States since Koppers Company completed the first by-product coke ovens around 1912. A specially processed refined tar meeting ASTM D490 specification for RT-12 is the material used in the production of pavement sealer. During the distillation of crude coal tar, light and medium weight oils are removed from the crude coal tar to produce various refined coal tar products such as RT-12. These light and medium oils represent 20-50% by weight of the crude coal tar depending up the refined product that you are making. Coal tar contains hundreds of chemical compounds that will have varying amounts of polycyclic Aromatic Hydrocarbons (PAHs) depending upon the source. 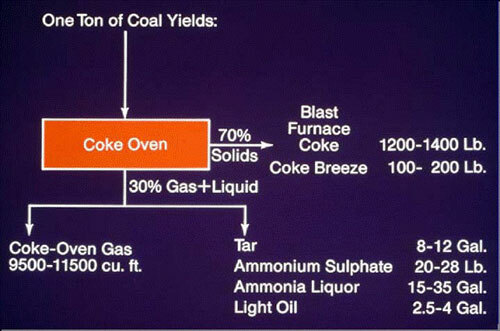 This paper describes the coke making process and the various by products of that process (including Crude Coal Tar). This diagram shows the various products which are derived from Crude Coal Tar (including Refined Tar for Pavement Sealer). One common misconception that COA and USGS continue to state in their studies is that refined tar based pavement sealer is made from crude coal tar which is false. 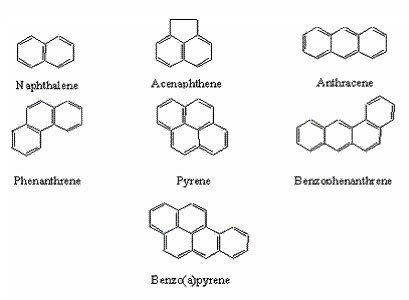 Polycyclic aromatic hydrocarbons are also known as polycyclic aromatic compounds, polyaromatic hydrocarbons or as polynuclear aromatics. PAHs are a group of over 100 different chemicals consisting of carbon and hydrogen in fused-ring structures. PAHs are very common in the environment (ATSDR-Barton Springs Health Consultation 2003). Polycyclic aromatic hydrocarbons are found in coal and petroleum, but they are also products of incomplete combustion, of either natural or anthropogenic (man-made) origin. Anthropogenic (man-made) sources to the environment are more abundant than natural sources and include burning of wood, coal, oil and gas, garbage, or other organic substances like tobacco or charbroiled meat. The most important natural sources are forest fires and volcanoes (National Research Council, 1983). PAHs are generally found as complex mixtures, not as single compounds (example-cigarette smoke). Because PAHs are so common in the environment, people are exposed to them daily (ATSDR 2003). For U.S. residents, the greatest PAH exposure is through the ingestion of food, but this can vary depending on lifestyle (Agency for Toxic Substance and Disease Registry, 1995). The most common sources of exposure to PAHs are tobacco smoke, food, wood, smoke and ambient air (ATSDR 2003). Exposure to PAHs via inhalation is estimated to range from .02 to 3 micrograms per day. Smoking one pack of unfiltered cigarette per day increases this estimate by an additional 2 to 5 micrograms per day. People that smoke three packs of cigarette per day increase their exposure by an estimated 6 to 15 micrograms per day. The intake of carcinogenic PAHs from the average American diet has been estimated to range from 1 to 5 micrograms per day, mostly from the ingestion of unprocessed grains and cooked meats. The dietary estimate increases to 6 to 9 micrograms per day for those individuals who eat large amounts of meat (ATSDR 2003). The World Health Organization (WHO 1998) provides a daily intake estimate from food of 0.1-8 ppb. The WHO (1998) notes that while PAHs may be found on fruits and vegetables due to atmospheric deposition and/or due to food processing such as frying and roasting, the highest levels of PAHs have been found in smoked meat (over 100 ppb) and fish (up to 86 ppb). -Brownfield/Industrial Manufactured Gas Plant (MGP) residues and runoff. 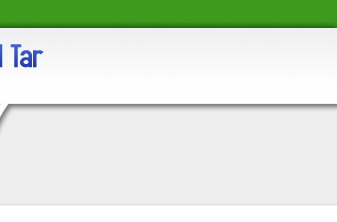 To name just a few of these delivery systems. Most PAHs, whether the result of natural or anthropogenic (man-made) processes, are released into the air. PAHs are found in ambient air in both gaseous and on particles. PAHs are widespread in ambient air being found in urban, suburban and rural locations. A wide range of PAHs can be found in the atmosphere. One study states that over 100 species of PAHs have been identified in the urban air of the U.S. (Baek et al., 1991) Urban air contains as much as 5 times higher PAH concentrations (0.15-19.3 ng/m3) than rural air (0.02-1.2 ng/m3) (Agency for Toxic Substance and Disease Registry, 1995). Winter concentrations are 5-10 times higher than summer concentrations due to the difference in temperature, sunlight radiation, and an increase in heating emissions (Agency for Toxic Substance and Disease Registry, 1995). An estimated 10,000 to 30,000 tons (8,900- 26,800 metric tons) of PAHs are emitted annually in the U.S. (Baek et al., 1991; EPA, 1998). The most important source of PAHs in surface water is from the deposition of airborne PAHs (Jensen, 1984). Other sources include municipal waste water discharge (Barrick, 1982), urban storm water runoff (MacKenzie and Hunter, 1979), oil spills, and petroleum processing (Giger and Blumer, 1974). In a localized environment any of the above sources can be dominant. Background include sludge disposal from public sewage treatment plants, automotive exhaust, tire and asphalt wear, and use of compost-based fertilizers (Perwak et al., 1982; Santodonato, 1981; Stahl et al., 1984; White and Lee, 1980). The low solubility of PAHs results in greater concentraions of these compounds being present in sediment than dissolved in water. The highest concentrations are found in urban harbors around the U.S. (API 2002). Soil, like water, receives most PAHs from atmospheric deposition after local and long-range transport (Agency for Toxic Substance and Disease Registry, 1995). Other sources include sludge disposal from public sewage treatment plants, automotive exhaust, tire and asphalt wear, and use of compost-based fertilizers (Perwak et al., 1982; Santodonato, 1981; Stahl et al., 1984; White and Lee, 1980). Concentrations of individual PAHs are typically 10 to 100 times higher in urban soils than in rural soils. This would be expected due to the greater concentration of combustion sources (motor vehicles) in urban areas (Menzie et al., 1992). Road dust contains very high levels of PAHs have been reported (Menzie et al., 1992). Those areas that contain high levels of PAHs and cannot be tied back to an industrial source, the primary reason is typically believed to be road dust (API 2002). 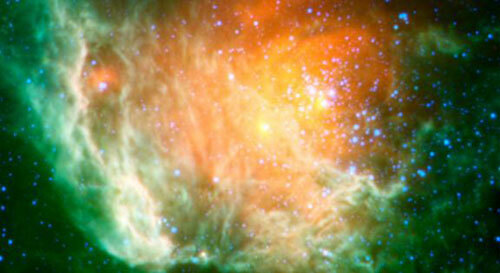 NASA’s Wide-Field Infrared Survey Explorer (WISE) has been a busy spacecraft since its launch on December 20, 2009. The spacecraft has obtained photographs of PAHs in space. PAHs are because they are candidate compounds linked to the earliest forms of life. PAHs can be found throughout space. Environmental Forensics is a combination of analytical and environmental chemistry, which is often useful in the court room context. Another motivation for this type of analysis would be for the sake of obtaining knowledge of historical emissions to the environment or historical environmental processes. An example of where environmental forensics would be used is on a polluted site where there have been many industrial occupants over a period of decades but there are no obvious offenders. Environmental Forensics techniques have been used to help establish the potential responsible party for the pollution. To put it simply, it is much like CSI but for the environment. Environmental Forensics involves field analytical studies and both data interpretation and modeling connected with the attribution of pollution events to their causes. What levels of contamination have people been exposed to? °The US EPA’s 16 priority pollutant PAHs-this approach should be used only as a screening for important PAHs because many PAHs that can be found in environmental samples are not included in this test. This is typically shown as Σ PAH 16. °The second approach is to target and “extended list” of PAHs. This approach has been used for the petroleum and fossil fuel related PAH studies for over 20 years and is used fairly routinely for modern PAH monitoring and investigations. 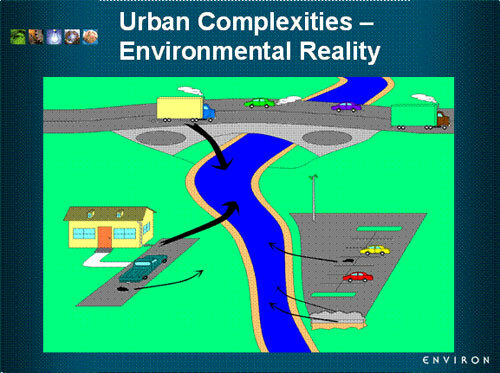 The use of this approach is essential to many PAH source determinations especially those focused on urban harbor and river sediments. This is typically shown as ΣPAH50. Intermediate extended PAH lists (ΣPAH33) have been recently adapted for ecological studies. It should be stressed that COA and USGS primarily used the EPA priority pollutant listing (ΣPAH16) and refer to this as the total PAHs. As you see from the above mentioned explanation, this testing is insufficient in “fingerprinting” the source of the PAHs. Graph: PAH analysis of crude oil sample. 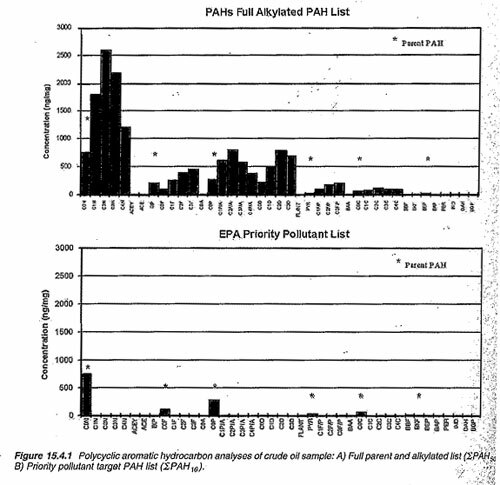 The top graph is the expanded list (ΣPAH50) and the bottom graph is the EPA priority pollutant list (ΣPAH16). As you can see, the expanded list gives you a much better idea of the specific chemical compounds from the sample. Source: Environmental Forensics-Contaminant Specific Guide, Edited by Robert Morrison and Brian Murphy, Academic Press, pg. 322.